Dogs: Our nation's most precious and underused cuteness resource. 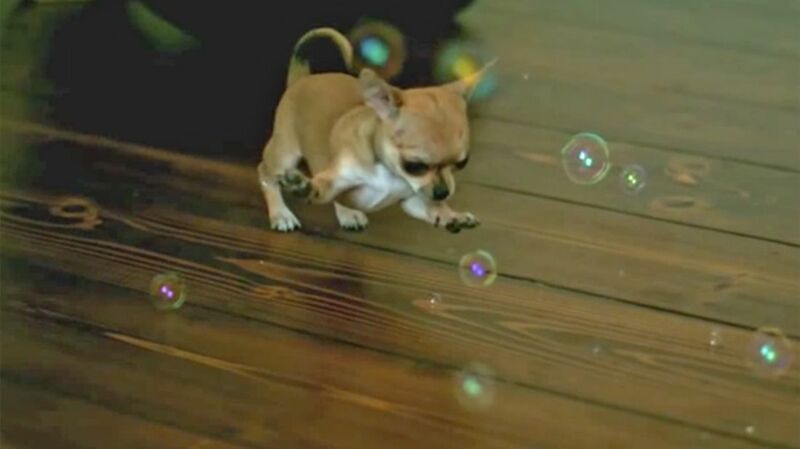 This weekend, I have rounded up some of the best "dogs chasing bubbles" video around. Bubbles are just like tennis balls, except they float, cannot be fetched, and are nearly infinite. Game on, dogs! Simple premise: Blow bubbles for the baby. The baby doesn't care much, but the dog, Bennie, does. MUST DESTROY BUBBLES TO SAVE BABY. Jack's owner, John Ward, writes: "My dog Jack just discovered bubbles for the first time today." And he munched his first hundred bubbles, before getting a little worn out. Just stand on the stump and blow bubbles while your dogs destroy the phantom invaders! It's just phone camera video, but it's pretty cute seeing this dog eating bubbles out of the air (and off the grass, when handy). Making huge bubbles on the beach? Bring your dog. I like that Lexie is a completionist: She always wants more bubbles, and will circle around to catch bubbles she missed. That's a strong bubble-popper. Okay, Now What're You Doing This Weekend? If you have a dog and a way to make bubbles, might I suggest that this become your new jam?